Babies are always cute in cables and pompoms, this hat makes good use of both. The pattern includes sizes for the whole family so don't stop at just one! 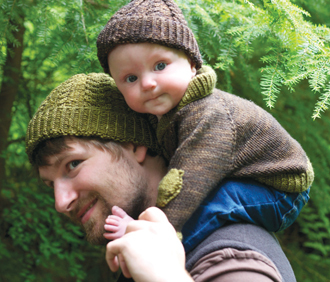 Hunter, the hat's namesake, loves to be dressed in fashionable little knits while wandering the forests of British Columbia with her Dad. 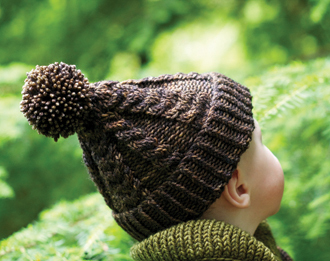 Hunter is available individually, or as part of the collection 9 Months of Knitting.